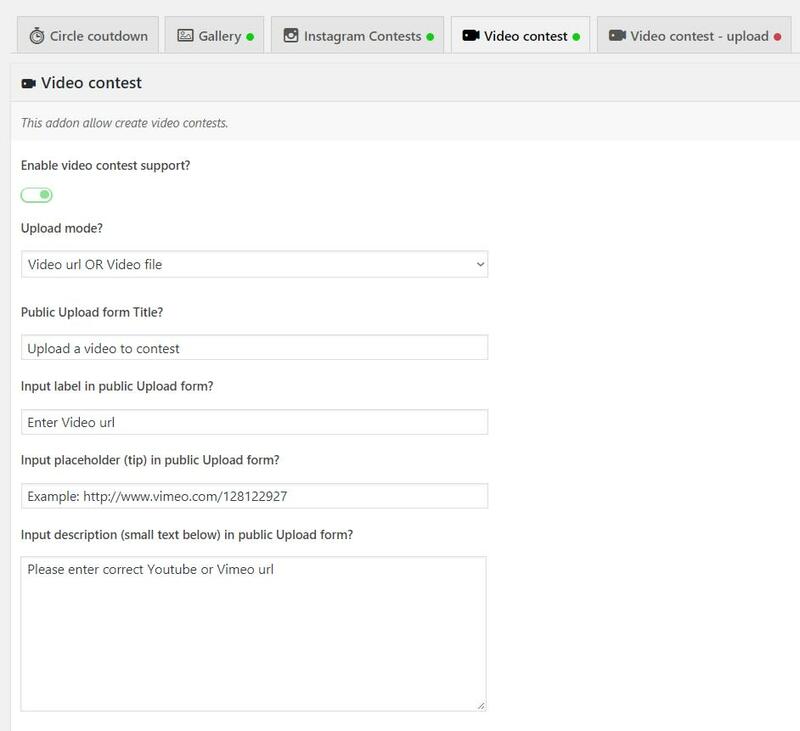 Easily create Video contest with Youtube and Vimeo videos. With this addon you can select in the contest it type: Photo or Video (see screenshots). When you select Video, then file upload field changes to video url input. Note: imageLighbox isn’t supported video playing, so you need use any other default or premium lightbox. 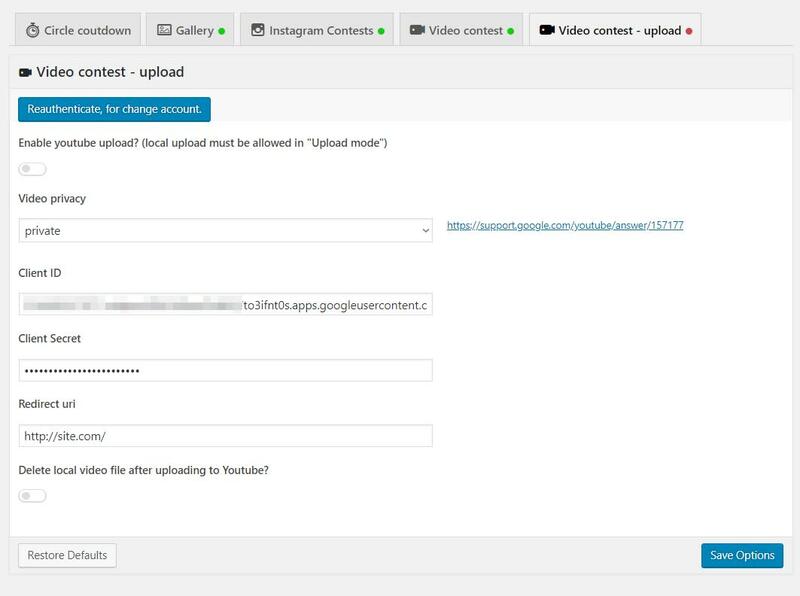 When video already processed (in 8-15 minutes) plugin parse video thumbnail and change competitor status (to “Published” or “On moderation” depends on contest settings). Include unlimited domains & updates. Support - until WP Foto Vote license active. Addon files will be available directly after payment.